John has been teaching meditation and relaxation techniques for over 30 years. He combines this experience with Hypnotherapy and cognitive and behavioural therapy (CBT) methods as a qualified Hypnotherapist, holding a Diploma in Cognitive-Behavioural Hypnotherapy from the UK College of Hypnosis & Hypnotherapy. 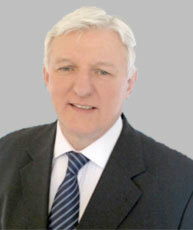 He also brings over 30 years of senior executive business understanding to client conversations. John knows from personal experience the challenges clients face from working in highly demanding roles and the stresses and strains this can bring both at work and at home. His aim is to help you to feel better about yourself by using hypnotherapy to support you in how you manage your thoughts, feelings and behaviour so that you learn the skills you need to assist you in leading a more fulfilled life. John also sees clients for many other issues. Please enquire for further details.